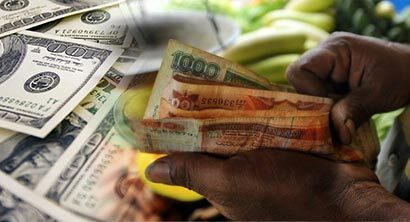 (Reuters) – The Sri Lankan rupee traded a tad weaker on Friday on importer dollar demand and dealers expect the local currency to ease next week with foreign investors exiting the island nation’s bourse as part of a selloff in emerging markets. Lower interest rates that could drive credit growth, and expected seasonal importer dollar demand ahead of the traditional new year in April are also likely to put pressure on the rupee in the medium term, they said. The spot rupee was at 130.65/75 per dollar at 0558 GMT, a tad weaker than its previous close of 130.65/67. “The rupee is weaker on importer dollar demand. We expect it to weaken with the equity outflows despite decent exporter dollar inflows,” a currency dealer said. On Thursday, the stock market saw a net foreign outflow of 2.96 billion rupees worth of shares, the highest since Sept. 7, 2011. Dealers also expect the rupee to face downward pressure because of rising credit demand in a low-interest-rate regime. They said the Federal Reserve’s decision to cut stimulus further and the weekend U.S. statement on bringing in another U.N. resolution against Sri Lanka could also weigh on the rupee. The market is concerned about a possible gradual pull-out of foreign investors from government securities and stocks, resulting in depreciation of the currency, they added. Central Bank Governor Ajith Nivard Cabraal last week said Sri Lanka should not experience any major capital outflows or market volatility due to the Fed stimulus cut. The rupee has gained about 3.4 percent since it hit a record low of 135.20 on Aug. 28. It lost 2.5 percent in 2013.